During the years of Independence, thanks to the entry of “Synopsys” to Armenia the Microelectronics traditions stepped on a new intensive phase in our country. This American based company had studied the market and found that there are thousands of engineers and professionals whose potential could be made use of. Since 1950s, pursuant to a decision made by the Soviet Union leadership Armenia was officially recognized as a center for microelectronics. Since then the Mathematical Machines Research Institute (Mergelyan Institute) has been established in Yerevan, Universities have opened departments of Microelectronics, factories and research institutes have been constructed. All these lead to the fact that already in 1960s Armenia created its first computer, and launched development and production of new semiconductor technologies and products. During the years of independence, thanks to the entry of “Synopsys” to Armenia, the Microelectronics traditions stepped on a new intensive phase in our country. This American based Company had studied the market and found that there are thousands of engineers and professionals whose potential could be made use of. “Synopsys” Company entered Armenia in 2004by acquiring “Leda Systems”, “Monterey Arset”, “HPLA”, and later “Virage Logic” companies. The number of employees of “Synopsys Armenia” Company has increased from 143 to about 700. Currently, “Synopsys” is the largest company of IT industry in Armenia. As noted by “Synopsys Armenia” company Director Hovik Musayelyan, the Company’s growth has reached to 500 percent in 10 years. This is a record for “Synopsys” itself. 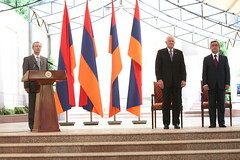 Having branches in 48 countries “Synopsys Armenia” is in fact the largest centralized branch after the one in the USA. And why did “Synopsys” enter Armenia and not another country in the region? According to Mr.Musayelyan, it is the general practice of “Synopsys” as well as other leading companies worldwide to acquire companies with good technologies and good personnel. 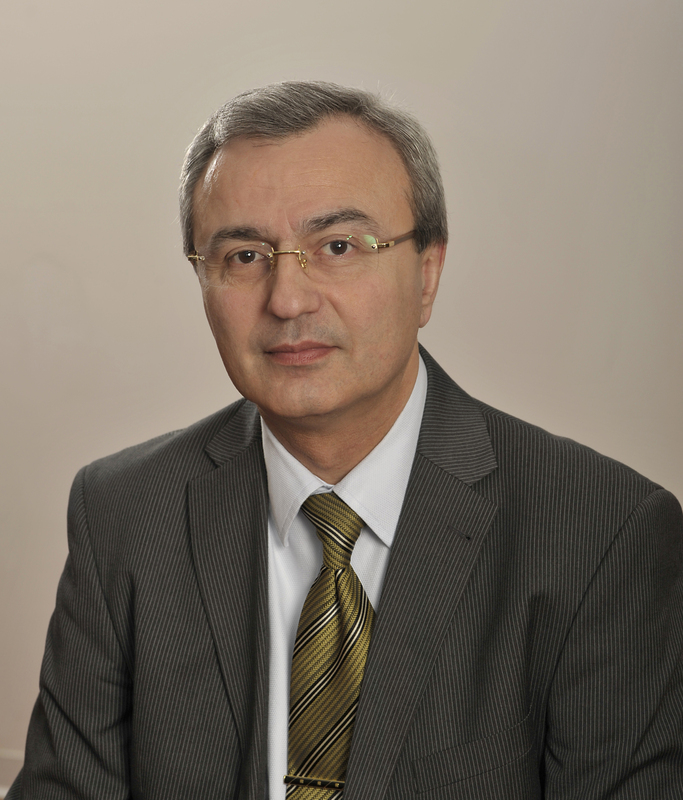 In addition, it has been a decisive factor that one of the companies – “Leda Systems” headed by its director Hovik Musayelyan, had a unique model for training: in collaboration with the State Engineering University of Armenia an interdisciplinary Chair of Microelectronic Circuits and Systems was established, which is physically located not in the University, but in the production environment, and this Chair has been functioning for 14 years already. “Synopsys” saw that such university-industry cooperation model contributes to training not only highly qualified professionals, but also industry-ready professionals. Definitely, there have been other factors as well, including good traditions in technical education, the reputation of the so called Soviet specific Silicon Valley, the fertile environment for talents, etc. Mr. Musayelyan noted that the leading universities with technical orientation do not have the opportunities to immediately offer professional employment in leading companies to their students after graduation. Various companies are practicing various methods for personnel training and recruiting of their employees. “Synopsys Armenia” has selected the most civilized manner for that: investments made in the professional education system actually increase the costs, nevertheless it contributes to self-supplying with qualified personnel. “Other companies have their own working style – making attractive offers and getting highly experienced staff. The whole world is behaving in such manner. We regret to admit that fact as we advocate the first option. However, in addressing staff maintenance issues one should also create additional motivations such as additional measures would be taken to make the workplace attractive for employees. It is true that people can get their education, thank the company but prefer to work in a place where they earn more money due to various social reasons. Our Company is not the one who is attracting people with high salaries. Whether it is good or bad – is another issue. The Company’s policy is: rather to attract people with sustainable, predictable jobs. The future for our employees in our Company is more predictable than it could be in other places where a company might be affected by various factors resulting in layoffs, closure and other negative impacts we have been witnessing over the years. “Synopsys Armenia” employs 73% of graduates from educational department while the other 27% find jobs with other companies. Hovik Musayelyan is chairing the Committee for “RA President’s Annual Educational Awards for IT Industry” which was initiated by “Synopsys”. In recent years, during the award ceremony while reporting the President on the performance of the Committee it was stated that there were certain shortcomings with regard to information for professional orientation among talented youth attending Physical and Mathematical Schools. After discussions, it was decided to accept “Synopsys Armenia” initiative and in collaboration with “Unicomp”, “VivaCell” and the Ministry of Education and Science of RA launch an unprecedented pilot project in 5 high schools (of 2 Marzes) in coming September. Microelectronics, telecommunication and programming will become compulsory disciplines in these schools. Mr. Musayelyan noted that initially they had no idea of what an unprecedented project they had conceived. He said – “We thought that this is a deliverable of certain logical developments. While demonstrating it to different people, especially foreigners we understood how unprecedented it is. The Minister of Education of RA saw lots of interest from his partners while talking about it in different countries. After a year we are planning to introduce this project in 10 more schools. Should we within 5 years have 50 schools with similar project, we could witness a second after chess internationally known phenomenon in the educational system of Armenia. We are implementing large-scale university programs with technical educational institutions and it is natural that while introducing such projects in general education system we ensure a flow of more prepared students to our universities”. “Synopsys” has adhered to a certain ideology. Gayane Markosyan, public relations officer of “Synopsys Armenia”, speaking about the success of the company says that such success is based on a value system underlying their work. The Company has fundamental principles for building its relationship. The first is the concept of integrity, i.e. to say what you do and do what you say: in short, words and actions match. The second one is the company’s philosophy based on “Whatever you do – do it well” principle. And the third is the leadership. The company helps people to come up with their ideas and realize their ideas by themselves. “To realize something means to take commitments, which also implies something beyond the comfort zone. If you do not leave the comfort zone, you will never be a champion. These three principles cannot be achieved unless one puts a heart in it. Painstaking people are noticed and valued. It is the use of these principles – the value system that contributes to the great success of “Synopsys” in Armenia. And it is this fundamental value system that helped “Synopsys” to rise during the years of crisis – making the Company the leader of the industry” – says Gayane Markosyan. In addition, she stated that “Synopsys” has not only brought about 700 jobs, education, community programs, the latest technology, but also something that is neither tangible, nor countable – the Western business culture based on a specific value system. These values exist not only behind the walls of “Synopsys”, but they also extend to employees’ families, penetrate their environment, society. The president, the engineer, the maintenance worker of “Synopsys” all sit on similar chairs, use similar phones. Even the lowest-level employee feels important and valuable. The last 10 years have shown that these approaches are viable and can be of great success in Armenia. The company feels responsible for its employees. People come here giving the company their knowledge, time, expectations for career, and this has to be mutual. That is why the company donates 0.1% of its profit to charity and never likes to speak about it. The profit is enormous – USD 2.1 billion. The company donates money for two purposes: ecology and education. This is why the US State Department recognized “Synopsys Armenia” as one the top 12 US company in its annual 2010 Corporate Excellence Award for the Company’s activities implemented in Armenia. Minas Harutyunyan, the manager of Developments Department has been working for “Synopsys” for 10 years. He noted, that they have a fairly large number of young people working for the company. “I have 10 young professionals with average age of 22-23 working in my team. We have made all conditions available for development, and opportunities for professional growth are great. We provide internship and trainings both locally, and abroad. “Synopsys Armenia” always maintains regular contacts with colleagues no matter where they are – in US, India or China.” Talking about the qualification level of young specialists Mr. Harutyunyan noted that they are competitive. However, he also points out that anybody needs constant learning and improvement of skills.